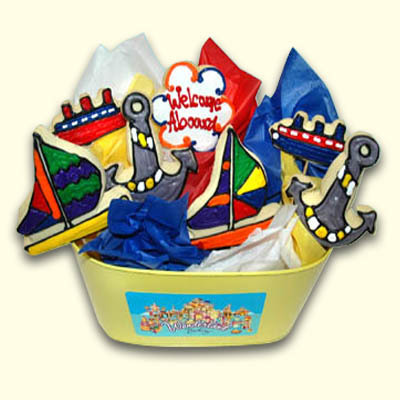 This Nautical Cookie arrangement is a tasty delight to send as a Bon Voyage gift or for your favorite skipper, sailor or yachtsman. Cookies can include The Captain, Skipper, Crew Members, Ship, Anchor, Sailboat, Yacht Club Logo or Cruise Line. We can personalize the Skipper, Sail Boat or Yacht Club Logo with your special message too!